Drawing from the top professional musicians in the Omaha, NE area, the OBB is a powerful, high energy, swingin’ 17 piece ensemble. 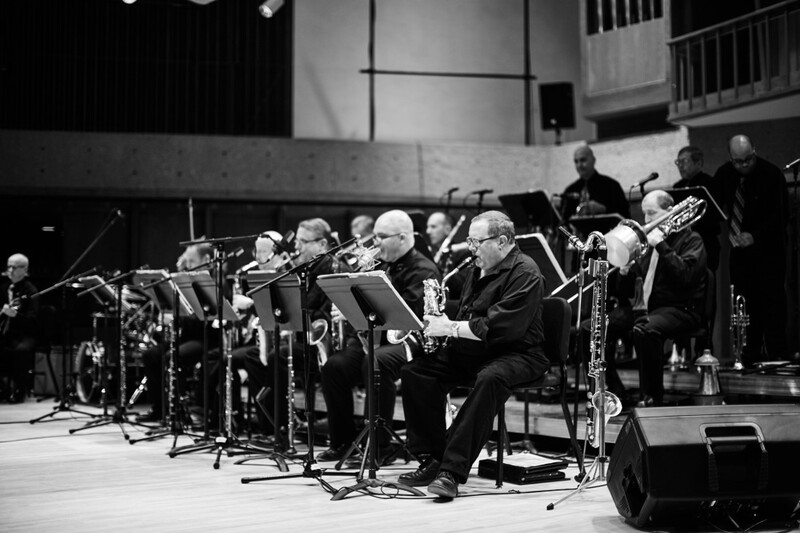 OBB continues to please and amaze audiences, performing a variety of big band styles from classic swing & standards to contemporary jump swing & latin and everything in between. They maintain a busy schedule performing in a variety of settings, including: The Nebraska Arts Council Touring Program, it’s own concert series, Jazz Festival performances, Jazz on the Green, and a host of private occasions. The members of the band proudly support the Omaha Musicians Association Local 70-558. Having been the weekly featured band at a variety of venues over the years, these consistent gigs have greatly developed a true sense of unity, “tightness”, and energy. “Swing This!” is a CD studio recording of many of the band’s favorites. A band that puts on a successful concert is different than one that gets a reception or corporate crowd going. Although we love to do both, we thoroughly enjoy performing for private events. Having performed for countless events, we’ve learned what it takes to appeal to a crowd of various tastes, age and likes. We’ll customize a set list to be sure every guest (even those that might not realize how much they like big band music) enjoys themselves to the fullest! No matter in concert or at a private event, we’re not your grandfather’s big band! Yes, we love the standards (and play them), but we also love jump swing, latin, and everything else in between…and we’ll play them all with the passion they deserve! Thinking you’re not sure if a big band will work for your event? Think again.